Just like new! 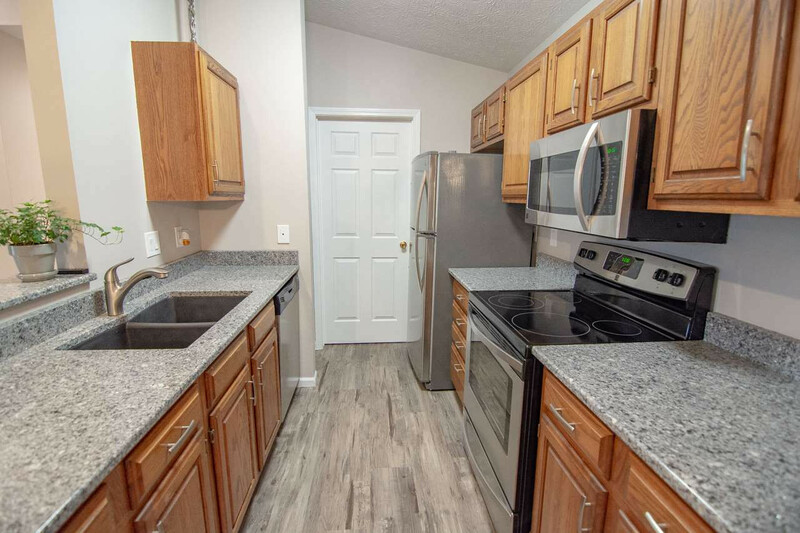 This home has been completely upgraded with beautiful new flooring, granite countertops w/ new sink and faucet, all new lighting, matching SS appliances, new windows, new electrical outlets, smoke/carbon monoxide detector combo, paint, and beautiful new fixtures and mirrors in both bathrooms. Also features a wood burning fireplace, private wooded/pond view, and cathedral ceilings with only eight steps to top floor. Garage w/ new garage door and storage space included. Only 1 mile to the new Union Kroger Marketplace!